The Axis is becoming desperate for soldiers after nearly a decade of war. 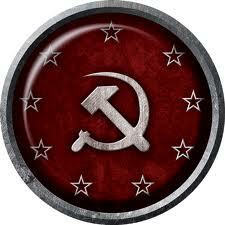 The bloc has turned to its weird science division the Blutkreuz, or Blood Cross, for solutions no matter how extreme. 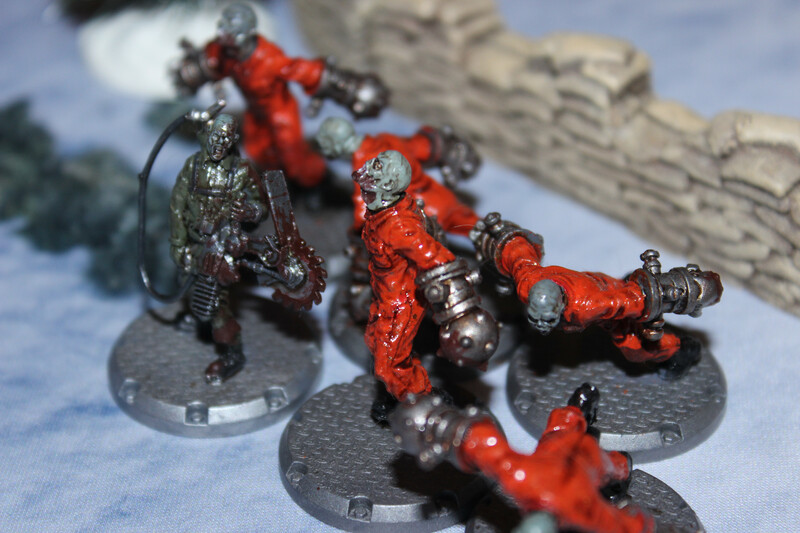 The mad scientists have turned to infusing their very own troops with a serum named Wiederbelebungseserum. Roughly translated it means, “once again revived serum.” Most soldiers never rise again even with the serum coursing through their veins. An extremely small amount retain at least part of their intelligence though many times their personality is greatly altered. 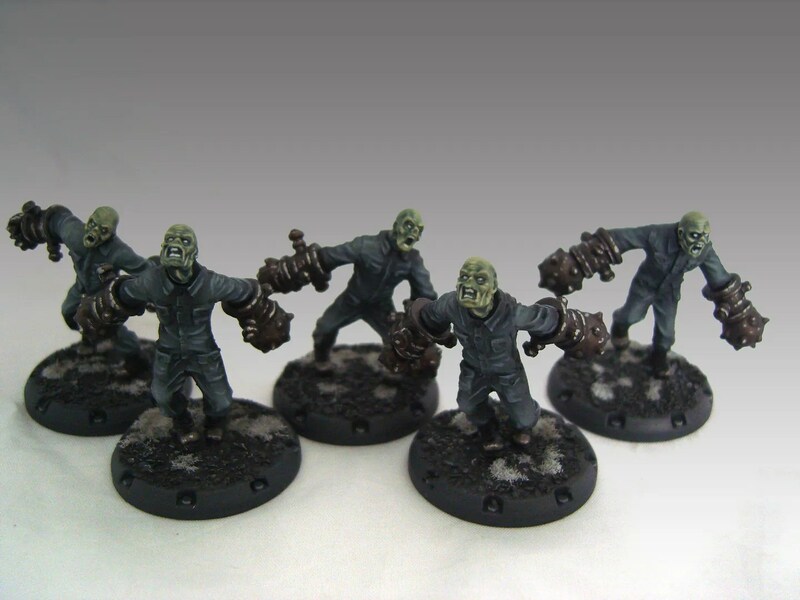 In most cases, the few undead that do come back are mindless brutes as dangerous to their handlers as they are to the enemy. 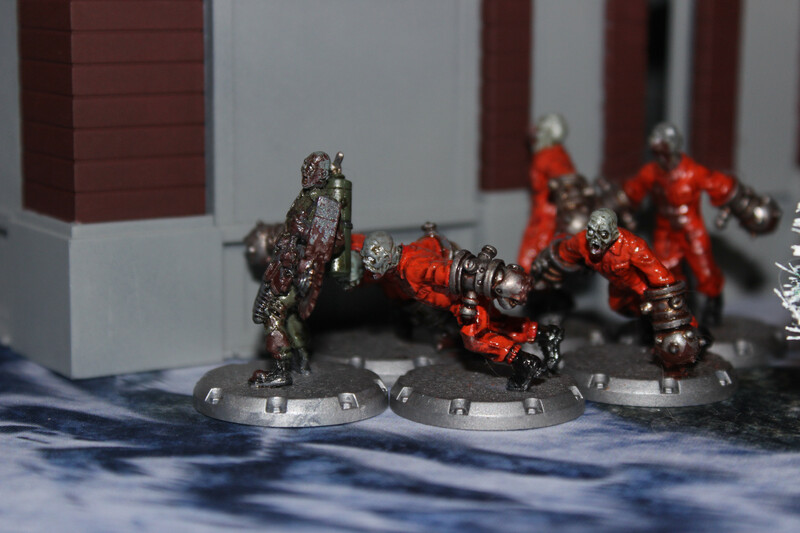 This article will review the Axis Zombies (or just Zombies in Dust Battlefield). 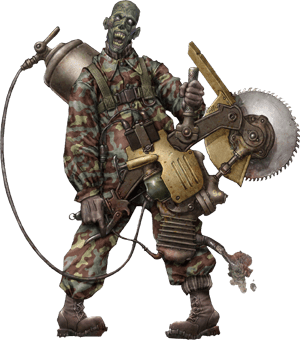 I will go over the Zombies’ stats and skills, the heroes that best work with them, the Axis Zombie Swarm Platoon, some roles and tactics, and my overall thoughts and opinions to one of the creepiest units in Dust. Once again I bring a battle report between my friend and I. The way we are doing these is the loser of the previous game gets to select either the custom scenario or the Battle Builder we use for the next game. So my friend (the Axis player) picked the March Battle custom scenario from the Core Rulebook on page 72. Few people alive know of the Axis scourge known only as Grenadier X. Those than even know of his existence are unsure it the undead soldier is a single warrior, or if he is fact a number of high ranking Blutkreuz officers that have taken up the mantle of zombie terror after their deaths. What is known is that Grenadier X is highly intelligent and fiercely loyal combatant. Woe is those who befall his bloody saw. 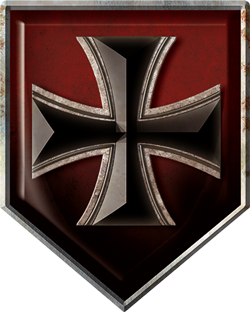 Soldiers in the Blutkruez (Bloody Cross) are often injected with the highly controversial Wiederbelebungseserum or “once again revived serum.” This serum can bring back the recently dead to a sort of unlife. Most never regain any sibilance of who they were barely able know the difference between friend and foe. Yet, in their desperation for more soldiers, the Axis have given these not dead but not quite alive things powerful panzer gloves capable of ripping through the toughest of armor. Both the Allies and the SSU troops greatly fear these barely human weapons of war.